Network to bring daily programmes, features and interviews from the World Economic Forum. The World Economic Forum returns to Davos this January for its 48th annual gathering, and CNN International will be reporting live throughout this key event in the business calendar. The official theme of this year’s conference will be ‘Globalization 4.0: Shaping a Global Architecture in the Age of the Fourth Industrial Revolution’ – calling for renewed commitment to international collaboration. CNN’s Richard Quest, Becky Anderson, Julia Chatterley, John Defterios and Hadas Gold alongside Fareed Zakaria, will deliver live daily coverage from the Swiss mountain town, which is transformed each year for the summit. CNN will have special access to politicians, world leaders, social influencers and CEOs throughout the week. A broad range of topics including climate change, closing the global finance gap, gender equality, peace and reconciliation in the Middle East and the importance of business social responsibility will all be discussed. World leaders like Angela Merkel, Shinzo Abe, President of Iraq Barham Salih and Brazilian President Jair Bolsonaro will all be in attendance. Alongside the likes of HRH Prince William, Duke of Cambridge, naturalist Sir David Attenborough and the Managing Director and Chairwoman of the International Monetary Fund Christine Lagarde. CNN’s live coverage begins on Monday January 21st and runs throughout the week. Richard Quest will anchor The Express & Quest Means Business. Julia Chatterley will anchor First Move and Becky Anderson will anchor Connect The World. 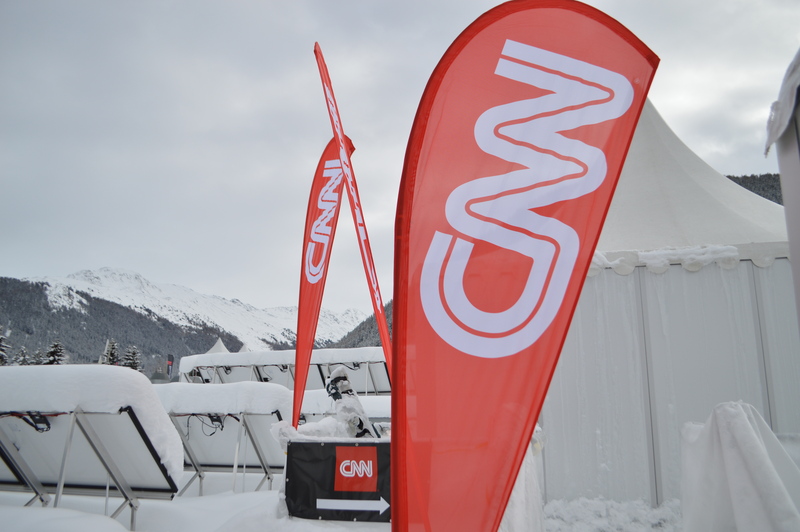 CNN Business will host dedicated digital coverage throughout the WEF including news, comment and expert analysis at cnn.com/specials/business/davos and for the first time CNN audiences will have a chance to join the conversation live at cnn.com/join.